So it's happened. I feel Christmassy. I realise this may be a little delayed for some (I know lots of people that have had their tree up since late November) but with just a couple of weeks to go - I am all over anything and everything festive. I think for the most part, we all like Christmassy interiors for the same reasons - the subtle added sparkles, the cosy touches and those festive scents that instantly take you back to your favourite festive moments. However, I wanted to put together a quick post that showcases the range of Christmas styles out there (plus, who doesn't love having a look at some Christmassy pictures). I love this look as (for me) it's one of the easiest ones to achieve. 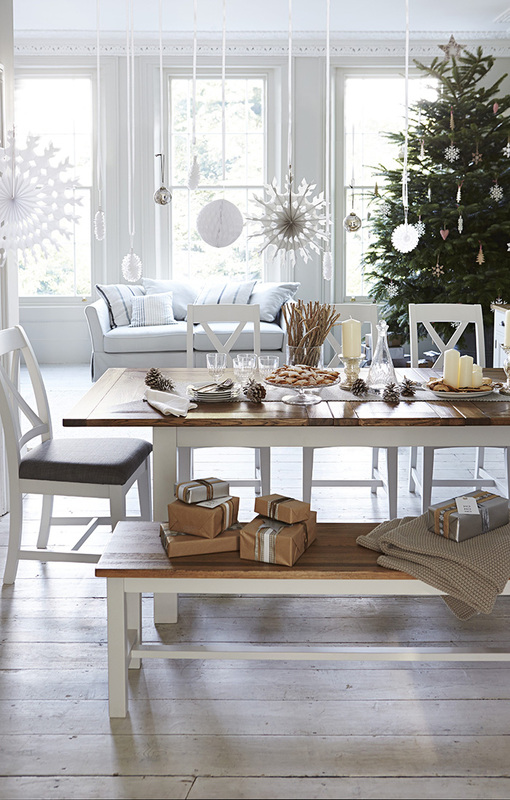 A few fairy lights here, a festive table setting there and they all add up to a fresh Christmas look. Whites and greys (like this lovely Angelic sofa) are the perfect backdrop, but touches of wood - like with this Parquet Table from Furniture Village or wooden floor boards - also look great. If you're blessed with a home full of character and period details, you can't not embrace a gorgeous traditional look. With this, I think the key is to add lots of natural touches and textures. 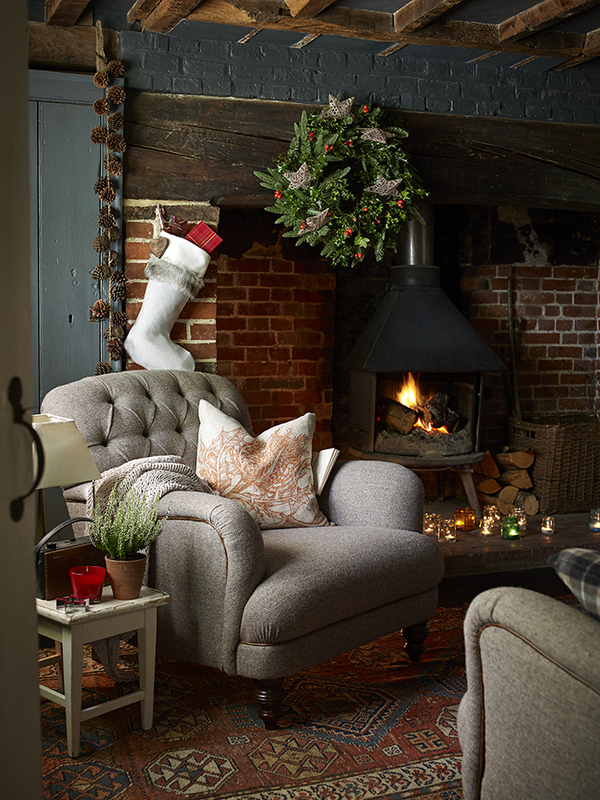 A real garland and wreath look perfect over a period fireplace and a chunky blanket is an essential for snuggling by the roaring fire on your favourite armchair. 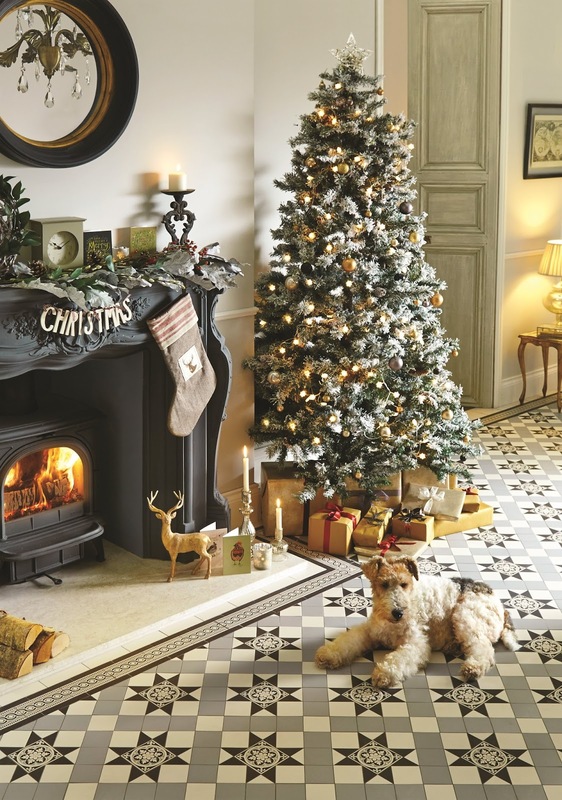 (Psst, you can even fake your period details with an electric wood burner and gorgeous victorian-style tiles). So this is my #goals look. I love the quirky decorations and simplistic style which is perfect if your house or flat is quite plainly decorated. 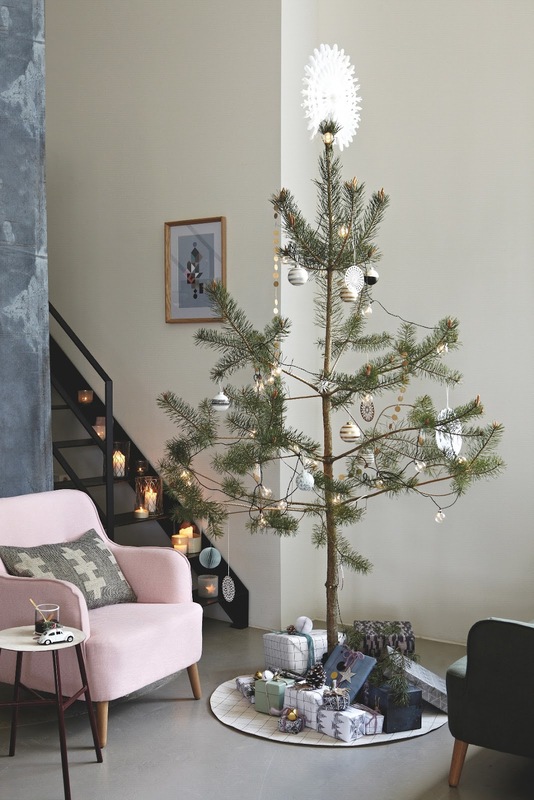 The sparse tree really adds a cool, scandi touch and although I do love a huge tree this would be perfect for a smaller flat. And how cute is that mid-century style pastel pink chair? !